Some music traverses time ultimately connecting generations through its profound expression of the universality of human experience. Some of those masterworks have solos that are so finely crafted that they become the defining signature of those pieces. The music selected for this concert contain those gems that reach out to the listener and become etched into memory. This performance includes Rossini’s William Tell Overture, Mendelssohn’s Fingal’s Cave, Saint Saen’s Danse Macabre, several movements of the Tchaikovsky’s Nutcracker Suite, the Capriccio Espagnole by Rimsky-Korsakov, and the Comedian’s Gallop by Kabalevsky. 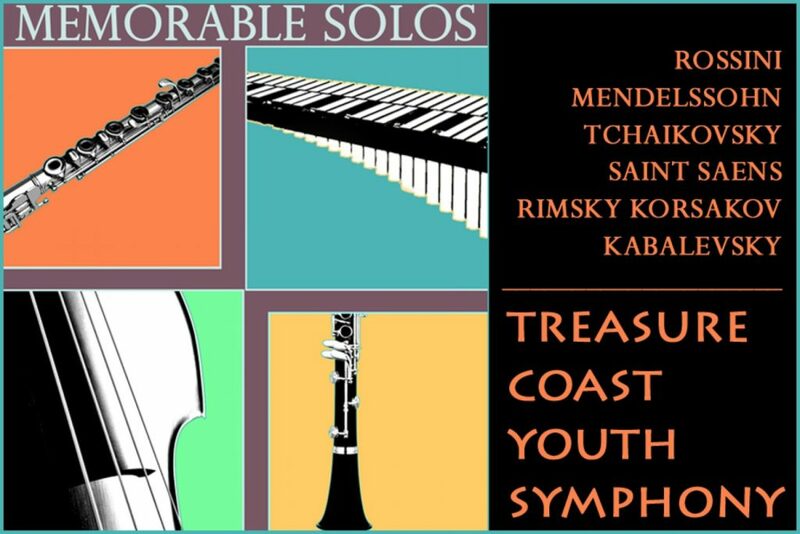 The musicians of the Treasure Coast Youth Symphony invite you to join them at this fall concert celebrating the orchestra’s 30th season.